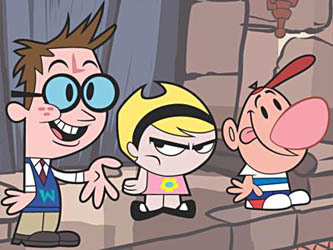 Billy and Mandy are two children from Endsville, a typical “Anytown, USA”. One day, while they are celebrating the tenth birthday of Billy’s old pet hamster, Mr. Snuggles, the Grim Reaper appears. 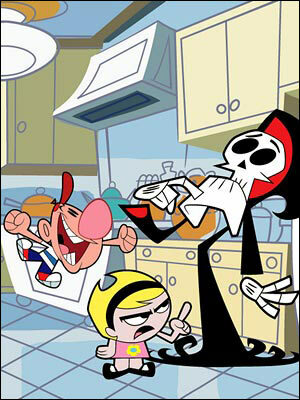 He comes to reap the old hamster’s soul, but, to his surprise, Billy and Mandy are not afraid of him at all. Mandy refuses to give Grim the hamster and offers to play a game for its soul (a homage to the classic film The Seventh Seal). If the Reaper wins, he would get the hamster’s soul. 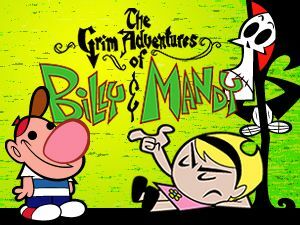 Grim, assured of his victory, says that, if they win, he will be their best friend “forever and ever.” Grim takes Billy and Mandy to limbo to play, where they compete in Grim’s favorite game—limbo. However he loses because Mandy cheats by making Mr. Snuggles attack him, and Grim is doomed to be the “best friend” of these two children, a task he suffers with no small amount of disdain and mockery from other supernatural creatures. Grim is very depressed in the first days of his servitude, but as the time passes, he gradually adapts to the new life. 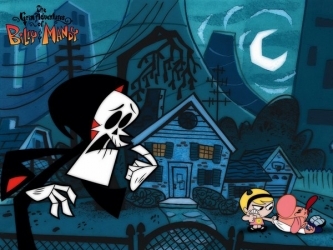 Despite this, he has a love-hate relationship with Billy and Mandy and desires that he will eventually break free from his servitude (he mentions fantasies of killing them multiple times).